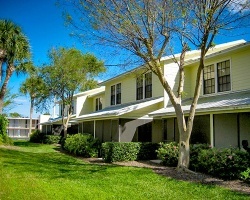 Discover what's waiting for you in Kissimmee, Florida when you buy or rent a timeshare at the High Point World Resort. 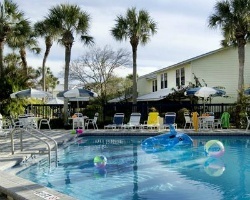 Shop SellMyTimeshareNow.com and save up to 70% off these incredible accommodations. What’s My High Point World Resort Timeshare Worth? High Point World Resort puts you right in the center of the action of Central Florida, while also giving you a serene place to relax and unwind after a long day! Located just outside of Walt Disney World, this family-friendly resort is perfect for an active getaway visiting Magic Kingdom, Epcot, Universal Studios, SeaWorld, and much more with everything just minutes away. On-site at the resort, you'll have access to plenty of great amenities such as whirlpool spa tubs, a heated swimming pool, picnic area with barbecue grills, jogging trails, and tennis courts. With something for all ages, the High Point World Resort is sure to satisfy your needs and desires for your next family getaway to Kissimmee. One- and two-bedroom timeshare suites are available at High Point World Resort. Accommodating four to six guests comfortably, it's easy to bring the whole family along without being cramped. Full kitchens, private bedrooms, living and dining areas, and spacious bathrooms make it easy for you to feel comfortable and right at home. 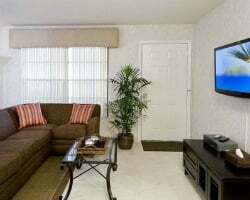 Each unit is well-appointed and offers clean, modern furnishings that allow you to just relax and enjoy your stay. Your family will also appreciate having enough space to take advantage of privacy and alone time after a full day of fun out at the local parks and attractions! Start planning your High Point World Resort Kissimmee FL trip right now! Fill out the form located on the right side of this page, or contact us directly by calling 1-877-815-4227 for further assistance. Our friendly timeshare specialists are sure to help you in finding the perfect accommodations for your needs and budget. Save thousands on a High Point World Resort timeshare by simply shopping the resale market. Timeshares have a bad reputation of being over priced, but this is because many people overpay when they buy from the resort! Resort developers drive up the cost by charging hefty sales commissions, taxes, and miscellaneous hidden fees. Whereas on the resale market, you'll find lower, more affordably priced timeshares that reflect their individual market value with no added costs. Shopping the secondary market can save you as much as 70% off retail for the very same ownership! Our inventory of RHC High Point World Resort resales features deeded fixed weeks with annual usage. 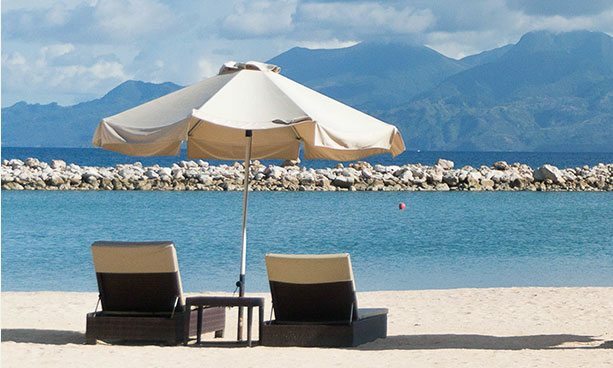 As part of the Royal Holiday Club, members enjoy 30-year fixed rates on their vacations to avoid the stress and uncertainty of price inflation over the years. Additionally, members are able to exchange within the RHC network and experience a new and exciting destination each time you travel. As part of the Royal Holiday Club (RHC) brand, High Point World Resort owners have plenty of options and flexibility when it comes to planning vacations. RHC features a network of more than 180 destinations and offers high quality hotels, affiliated resorts, villas, and condos to stay in. They also offer cruise vacations that members can take advantage of. RHC has five different membership levels you can choose from, each offering its own specific perks and member benefits. Some features include free guest certificates, special rates on extra nights, travel agency services, advanced booking, and various seasonal offers and promotions. All memberships allow you to exchange within the Royal Holiday Club network using your Holiday Credits. These credits can be rolled over into the following year, or accelerated and used in advance. This allows you to freely plan your vacations as you wish! For thousands of additional vacation options all across the world, High Point World Resort timeshare owners have the option to purchase an annual membership to RCI. As an affiliated resort, members get to take advantage of RCI's comprehensive exchange service. RCI boasts a network of thousands of top-rated vacation resorts all throughout the world in the all of the best vacation destinations. High Point Resort Orlando also has the distinction of receiving the RCI Hospitality Award for their commitment to great service for all their guests by providing exceptional amenities and accommodations. And as RCI is the world's leader in external exchange, members will enjoy virtually endless vacation options for years to come! RHC High Point World Resort is situated right outside the Walt Disney World entrance, making it easy for you and your family access all of Orlando's world renowned parks and attractions. Just minutes off the resort grounds you'll find Downtown Disney, Epcot, SeaWorld, Cypress Gardens, Kennedy Space Center, Universal Studios, Old Town Kissimmee, Cape Canaveral, MGM Studios, Magic Kingdom, and so much more. High Point World Resort also features some great on-site amenities to enhance your stay and encourage some relaxing downtime during your busy getaway. Amenities include a whirlpool spa, swimming pool, playground for the kids, tennis courts, game room, jogging trails, and a picnic area with barbecue grills. Already Own at RHC High Point World Resort?